Credit: Seohyun (Jenny) Jo, University of British Columbia. 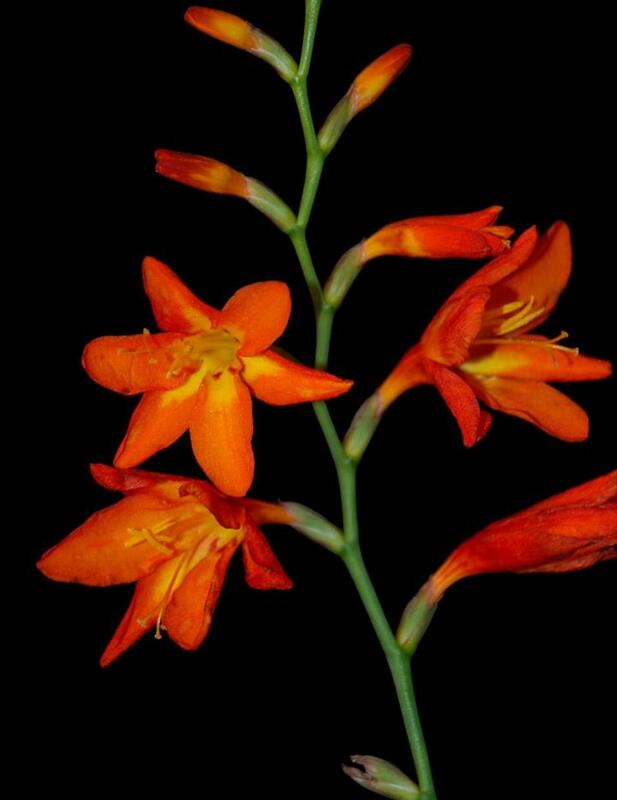 Ten years ago, in an effort to produce a diabetes drug that specifically inhibits HPA activity without having nasty side effects, scientists screened 30,000 extracts derived from plants and other organisms and found a single compound that fit the bill: montbretin A (MbA) from the bulb-like underground corms of the ornamental plant montbretia (Crocosmia x crocosmiiflora) (see figure). Unfortunately, MbA can't be produced in large quantities without understanding the biochemical pathway and genes involved in its biosynthesis, a difficult task considering the diversity and complexity of plant metabolic pathways. Scientists from the University of British Columbia and the Canadian Glycomics Network analyzed this crucial pathway, as discussed in this month's issue of The Plant Cell. The scientists discovered the first three intermediate metabolites in the MbA biosynthesis pathway, including a product called mini-MbA, which also strongly inhibits HPA activity, as well as the four enzymes involved in mini-MbA production. Importantly, when they cloned the genes for these enzymes and used them to genetically transform wild tobacco, they successfully obtained mini-MbA. According to lead scientist Dr. Joerg Bohlmann of the University of British Columbia, Vancouver BC, "This is a fascinating example of the largely undiscovered potential of plant specialized metabolism that may lead to new treatments for the improvement of human health".